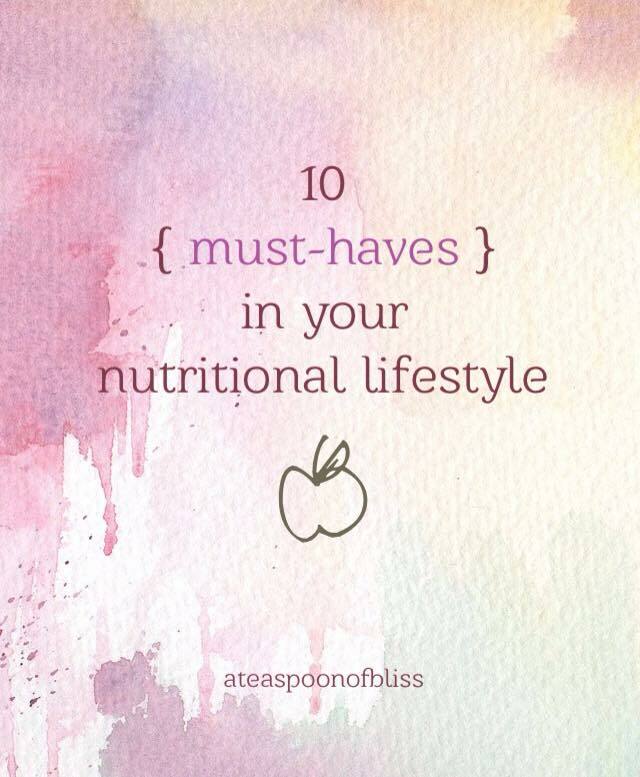 I created a list of 10 foods that I always try to incorporate into my lifestyle as they have substantial nutrient content and benefits to health. 1. Oats: Are high in soluble fiber and may improve cholesterol (create a sticky ball within your digestive system, trapping cholesterol, removing it from the body). Also, oats are whole grain! Whole grains provide you with fiber, B vitamins, and minerals. 2. Berries: Berries are a great source of antioxidants. Antioxidants protect your body’s cells from damage from free radicals (e.g. pollution and cigarette smoke). Antioxidants help lower your risk of many chronic diseases. 3. Nuts: Are a great source of protein and healthy fats (polyunsaturated fats) which play a role in heart health. 4. Salmon: Salmon is a great source of omega-3 fatty acids (the healthy fats). Salmon is a great source of protein and low in fat. Omega-3 fatty acids also play a role in maintaining healthy eyesight, a healthy immune system, and a healthy heart. 5. Dark, leafy greens (kale and spinach): These greens are low in calories and packed with nutrients. Kale and spinach are high in Vitamins A, C, K, folate, and calcium! 6. Greek yogurt: It is a great source of protein! Is lower in carbohydrates versus traditional yogurt and contains a substantial amount of calcium. Choose a nature/plain-flavoured yogurt to avoid added sugars and sweeten with fresh fruit, homemade granola, or add to your morning smoothie. 7. Egg Whites: Buying carton egg whites are a great way to increase protein in your day. Also, egg whites are a quick and easy way to make omelettes. 8. Chicken: protein protein protein! Chicken is a lean source of protein and lower in saturated fats versus other animal protein sources. Choose to barbeque or grill your meat products. 9. Oranges: Substantial source of vitamin C. Vitamin C is important for growth and repair of bones, teeth, and skin. Also Vitamin C plays a significant role in improving our body’s absorption of iron from plant-based foods. 10. Beets: Are a source of iron which is needed for oxygen transport throughout your body. Also, beets contain fiber, nah improve the function of antioxidant enzymes, improve WBC production (helps fight disease and maintain a healthy immune system). Last but not least, beets may help improve your running performance according to recent studies.